In the space of just over two years, an Charles Rosenbert went from zero to bestselling author. A couple of years ago, I downloaded a free Kindle book by Charles Rosenberg. It was called Death on a High Floor. Honestly, I didn’t expect much. Since then, Charles Rosenberg has become a bestselling author and has moved into the top rank of suspense writers. I wanted to know more about his journey, so I asked Charles Rosenberg a few questions. Q: How did you become a bestselling author? I’d always wanted to write a novel, and in the early oughts (or whatever that decade is called) I started to write one. That novel, Death on a High Floor, involves the murder of the managing partner of a large international law firm, similar to the one I had just left (on good terms and unlike in the novel, the managing partner was a nice guy). It wasn’t hard to craft the protagonist. I had spent about a dozen years at my first large law firm. Robert Tarza, the protagonist, is sixty years old and has spent his entire 30+year career at his firm. So at a certain level, Tarza is simply a projection of what I imagine I might have been like had I stayed on at one firm for that long. Although I don’t think I could ever become as stuffy, snotty and out-of-touch as Robert. It wasn’t difficult to craft the character of Jenna James either. Jenna’s character is an amalgam of more than a dozen young women lawyers I’ve known over the years. She reflects the struggle women lawyers had (particularly in the early years, when their numbers began to increase in elite law firms) to be taken seriously and to get the credit due them. To some extent, that struggle continues. Once I had the novel in pretty good form, I went looking for an agent and found one. She fairly quickly sold Death on a High Floor to a publisher that went bankrupt as we were negotiating the publishing contract. (Amusingly, who would own the then not-so-valuable electronic rights was an issue.) Fortunately, the bankruptcy occurred before the contract was signed, or the manuscript would have been an asset of the bankruptcy estate. So I hired an editor, revised the manuscript per her suggestions, hired a consultant to help me figure out how to market it, and went forward. Through some combination of luck and skill (and, I like to think, good writing), Death on a High Floor hit the top of the charts. In fairly short order, I acquired an excellent literary agent in New York, and she sold the novel to a publisher, who commissioned Long Knives, and after that sold well, commissioned Paris Ransom. Q: What was your experience in writing in the first person as Jenna James? I didn’t find it very difficult because I’ve worked closely with women colleagues while practicing law. Plus, in law schools where I’ve taught, a lot of aspiring lawyers have been women.So it wasn’t like writing about aliens, you know? I’m aware, of course about the supposedly profound differences between men and women ,but I don’t quite buy all of it. Sure there are differences, but there are also a lot of similarities and crossover in terms of personality, outlook, interests, etc. And to become a lawyer, you have to have a certain mindset, whatever your gender. I got a fair number of comments on this. Most said I had written a “credible woman,” whatever that means. A few, however, seemed to think I hadn’t. And a very few seemed to think it was a cultural transgression to have even attempted it. I recall one comment that amused me. A reader said, “I can tell he (the writer) is a man!” Not surprising, since my traditionally male first name is on the cover. I wonder what the reader would’ve said if I’d written the novel under the name Charlotte. 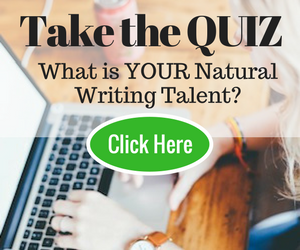 Q: You are a rising star in the ranks of thriller writers. Are you planning to write a series? If so, what are your thoughts? My next novel, Write to Die, is the start of the new “To Die” series. It involves new characters in a new setting, although it is set in a law firm in Los Angeles. The protagonists are again a man and a woman, but they’re much closer in age than Robert and Jenna (about ten years apart). They are also entertainment litigators, so they’re part of a glitzier world than the characters in the Robert Tarza series. Q: Can you give us a sneak-peek at your new novel? Lots of readers like courtroom scenes. 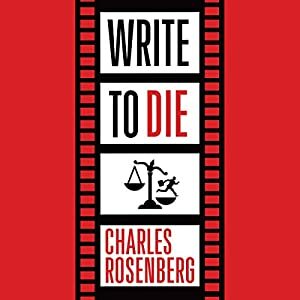 So Write to Die has both a federal civil trial and a state court criminal trial. Two trials for the price of one. As I said earlier, it’s set in a Los Angeles-based entertainment litigation firm. The male protagonist, Rory Calburton, is forty and has just been made a partner. He’s litigating his first big case on his own. His client, a big movie studio, has been sued for allegedly stealing a movie script that’s the basis for the studio’s about-to-be-released big film. That’s the civil trial. His associate, thirty-year-old Sarah Gold, has a stellar academic record—she’s just finished a judicial clerkship for the Chief Justice. But she’s got a sketchy background and tends to go off on her own adventures to try to help the case, which drives Rory, who’s a bit of a control freak, crazy. Not far into the novel, the general counsel of Rory’s movie studio client is murdered. A preliminary hearing in state criminal court quickly follows. Rory and Sarah figure there’s got to be a connection between the alleged theft of the script and the murder, and they struggle to figure out what it is. Eventually, somewhat against their will, they are dragged into the criminal trial, too. Q: Do you plan to become a full-time author? I’m heading in that direction, but not quite there yet. Also, practicing law allows me to stay in touch with what’s going on in the dynamic legal field. And that can inspire novels. Q: What advice would you give aspiring novelists? I know that sounds simplistic, but once you’ve gotten that far, you will have proved to yourself that you can do it. And you can go back and revise. Or just write another one till you think you’ve got something people will read and enjoy. It’s important to have no shame. You’ve got to show the finished product to as many friends and acquaintances as you can find (beta readers, I call them) and ask them to give you their candid critiques. I’d also recommend two books. One is The Art of Fiction: Notes on Craft for Young Writers by John Gardner. The other is 13 Ways of Looking at the Novel by Jane Smiley. Neither is a detailed how-to book, but each has good insights into what a novel is, and how to create one. Charles (“Chuck”) Rosenberg is the author of the best-selling Robert Tarza legal-thriller trilogy: Death on a High Floor, Long Knives and Paris Ransom. The first novel of his new To Die series, Write to Die, is published by Thomas & Mercer. Chuck is a Harvard-educated lawyer who practices in the Los Angeles area. Distributed a book is the simple part. The critical step is the real composition. Here are 10 straightforward tips for how to compose a book. Thanks for the interesting interview that answered a lot of questions regarding writing style and future plans. I look forward to hear more from Charles. Heard about Charles Rosenberg lots. He is the real hero for so many people who disappointed with their life. They doesn’t have the courage to face the difficulties in their life. But Charles Rosenberg have the courage to face anything. That is why he succeed in his life and become the best selling writer in two years. Nice reading this interview. One of the thing I value most is reading or watching interview from successful writers or internet marketers. The meeting was incredible. I cherish the way that Charles Rosenberg expounds on his calling. As a rule, when writers do expound on past callings through fiction, perusers get a special knowledge into the calling. Regardless of the fact that there is some distortion included. On a different note, the inquiry encompassing Charles composing a female character got my consideration. Part of the enthusiasm for perusing a book (fiction or true to life) is seeing the world through the writers eyes. That motivates discussion whether that be differentiating or likenesses to characters in all actuality. ‘Write about what you know’ is still great advice. I write about how become an in-demand, highly-paid globe-trotting freelance writer (because I am one), how to be a part-time digital nomad (because I like trying out new international cities to write from) and how to explore the remotest rivers on earth (which I’ve doing for 30 years). Of course, as a professional copywriter, I write about a lot of other things too, but my ‘specialty subjects’ are always the most enjoyable because they come from the heart. Simplicity at its best , Thanks a lot for sharing with us . An excellent interview: Rosenberg has shared his great ideas of writing for novelist, I will read above two books one is The Art of Fiction: Notes on Craft for Young Writers by John Gardner. and second one is 13 Ways of Looking at the Novel by Jane Smiley which Rosenberg has recommend about how to write novel. This interview and Rosenberg’s success goes to show that the idea of writing what you know is always wise. I have no doubt that Rosenberg couldn’t write the same detail and narrative if he didn’t have actual experience as a lawyer, around lawyers. I’m going to check his writing out now cause I’m intrigued. Interesting! That’s just the interview. And I love the fact that he(Charles Rosenberg) takes it at his profession. Working on the other gender; a nice challenge. and you guys just nailed it. The interview was great. I love the fact that Charles Rosenberg chooses to write about his profession. More often than not, when authors do write about past professions through fiction, readers get a unique insight into the profession. Even if there is some exaggeration involved. On a separate note, the question surrounding Charles writing a female character caught my attention. Part of the interest in reading a book (fiction or nonfiction) is seeing the world through the authors eyes. That inspires conversation whether that be contrasting or similarities to characters in reality. Thank you for the interview — awesome. I’m glad you liked the interview, Mike. I was also intrigued with Charles create the female protagonist. Can we truly inhabit the other gender? Concise and extremely SIMPLE logic. So often, what is simple has the most impact, don’t you think, Michael?